* A new spin on the old-fashioned guest book, the Personalized Wedding Wishes Signature Frame puts their good wishes where you can see them. 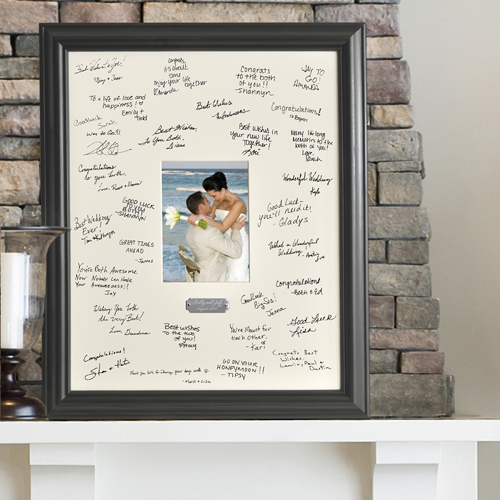 * Guests add their signatures and sentiments to the photo mat and couples insert their favorite wedding photo for a memorable tribute to that special day. * Brushed Silver plate is personalized with bride and groom's names and wedding date.